Takirah Broadway wasn't daunted by her leap to high school. With an older sibling to help her out, Takirah found her way around Catalina quickly. High school has presented many fun things to Takirah, such as cheerleading and her AVID class. As she continues her studies, she hopes to take part in the awesome culinary program at Catalina. 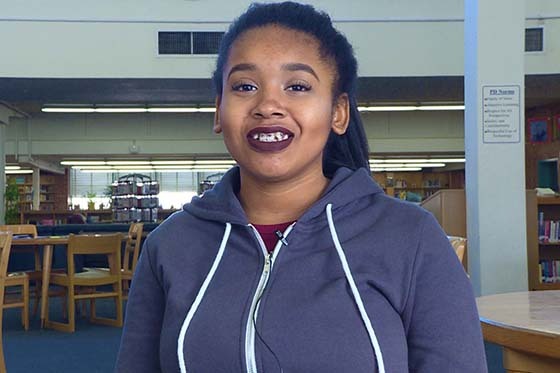 When Takirah graduates, she hopes to enroll in cosmetology classes or to study in the medical field at the University of Arizona.